In this competitive age, women are excelling in managerial and executive positions in businesses all over the world, especially in Asia, where there is a huge demand for more women and a need to eliminate inequality in the workplace. It is critical that businesses do more to keep the best women executives in their positions and create an environment that is conducive to their needs. Read on – we will discuss five pertinent tips on how to attract, develop, promote and retain high-ranking women. There is a worldwide need for more high-performing, high-ranking women – more than 75 percent of large organisations globally are seeking women that can work in the “upper echelons” of the work structure, with most companies employing special recruitment programs and offering larger salaries. In the US and Europe, more than one in three women hold higher positions in businesses. This is according to Catalyst, a nonprofit organisation that advises firms on diversity and inclusion. Meanwhile, in Asia, a McKinsey & Co. report from April 2018 showed that women held only one in four positions at the manager and executive level, highlighting the region’s great need for more women higher-ups. Data from the World Economic Forum’s Global Gender Gap index also shows that Asia needs to catch up with other regions when it comes to achieving gender parity – inequality in the workplace still needs to be further eliminated. There is a plethora of highly-skilled, female talent in Asia, where the growing middle class has gone through rapid educational advancement. So the problem is not a shortage of women, it is breaking down cultural prejudices and social misconceptions that still, in this day and age, create barriers for women in business. The secret sauce that organisations across the globe need is a mix of how to attract, develop, promote and retain high-ranking women. How should companies fix the gender imbalance? Everyone is trying to address the problem in their own way. DBS has been implementing more flexible working conditions, which will help women who also perform pivotal life roles outside of the office. Unilever, for example, has mandated a that there should be an equal number of qualified male and female candidates for all available roles. Summed up, here are five tips that can help attract, develop, promote and retain all women in the workplace, but most especially those in high-ranking positions. When career-building opportunities come around, like travel or promotions, women are often passed over as employers assume that they will be “tied down” by their family obligations. Those stereotypes need to be taken down. Firstly, not all women are mothers or run households. Secondly, those who do should not be out of the running for big career opportunities just because they may have familial obligations to attend to. “Women want to make it happen and they want to have a career. The last thing we should do is assume they aren’t going to be able to be flexible,” she Balaka Niyazee, vice president of Proctor & Gamble Korea and mother to an 8-year-old daughter. For women who are the primary caretakers of the home, of children and maybe even elderly parents, family leave is difficult to come by. As an example, after having a baby, a lot of women in Asia leave the workforce, some for a few months and others for years. Women should be able to perform nature roles like becoming a mother and fulfill high-ranking positions in the workplace as well. 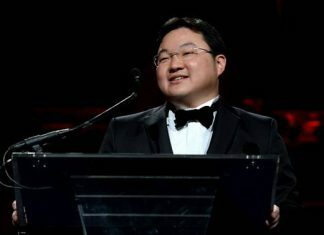 Eng-Kwok Seat Moey, head of DBS Group’s capital-markets division, has had two children while working high-ranking positions. DBS Group allowed her to take leave without pay for a total of around five years to raise her children when her husband was working in North America. Grateful for the opportunities that DBS Group tailor-made to fit her personal needs, Eng-Kwok is happy to give the team she runs time off for personal reasons rather than risk losing talent, a sentiment backed by the bank’s Chief Executive Officer Piyush Gupta. “If you don’t make it a stigma, then it’s not a stigma and women come back to work,” Gupta said. Companies who do not have policies in place to help women executives lead more balanced lives can make changes to accommodate the needs of women higher-ups. Pinky Mehta, first female chief financial officer of Aditya Birla Group, joined the company in 1991, when everyone was male and not a lot of women had burst through the social barriers. When she had the first of her two daughters in 1995, the company did not have many maternity benefits in place. Her manager innovated Mehta’s work schedule so that she could fulfill both of her roles – at home and in the workforce. The Birla group now allows those returning from the mandatory six-month maternity leave in India to hold flexible work hours or conduct work from home or a satellite office. Working mothers are also allowed to take their babies and caregiver along when travelling for work. Many women are juggling two full-time jobs – they are executives and mothers at the same time. They need to be given ample time to balance the demanding rigours of work, home life and personal life. Hong Paterson left her commercial banking role at JPMorgan Chase & Co. so she could spend more time with her teenage daughter, who would be going off to collage soon, and less time travelling for work. Her daughter had remarked that she never said Paterson anymore. Paterson, who became Singapore’s country manager for the Royal Bank of Canada, was taken aback by how much leeway the bank gave her and how much it prioritised what she valued as important. She started using the time-off to take up surfing, which she and her daughter do together to strengthen their mother-daughter bond. Women still fight to have their voices heard and be a part of high-level management in industries that are still male-dominated. Singapore Telecommunications is one company that is promoting its women role models. Singtel, the largest company in Asia led by a woman – Chief Executive Officer Chua Sock Koong – also has three more female executives on its management team of 11. Hoo Shu Yee, a former engineer who now heads a Singtel team that provides connectivity services to companies, having women at the top has helped bolster morale and boost confidence to perform well and climb the work ladder to an executive position. Having been at Singtel since 1993 and for a combined 19 years, Hoo has grown alongside the company as it went from a fixed-line telephone company to Southeast Asia’s largest mobile services provider. 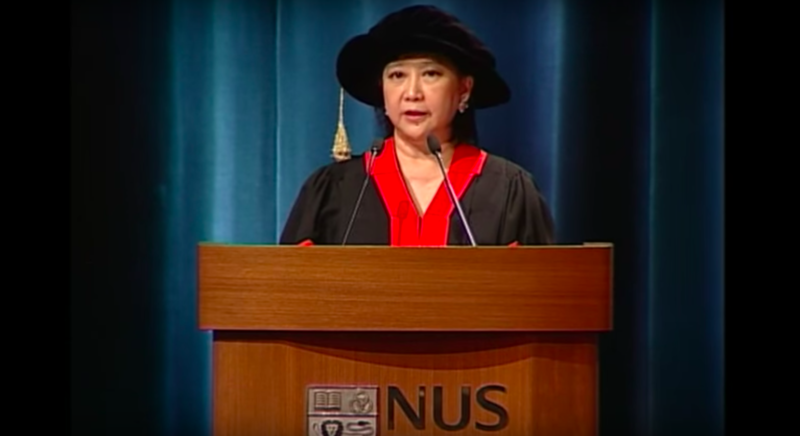 According to Hoo, “females were rare and few” when she started with Singtel, but within a few years, the company started cultivating a more gender-equal work environment and bringing in more women. And that is the crux of the matter. Women managers and executives should not be made to feel limited in the workplace because of the other roles they need to fulfill in their lives. It is the responsibility of companies to find the balance and cater specifically to the needs of their high-ranking, high-performing women workers.